CALL US TODAY @ (702) 589-6429 To Discuss Your Next Project. TRADE SHOW BOOTHS, TENSION FABRIC DISPLAYS, POP UP DISPLAYS, EXHIBITS, COUNTERS & KIOSKS. FLYERS, BROCHURES, CATALOGS, BOOKLETS, FOLDERS, ENVELOPES, POSTCARDS & MORE! FREE SHIPPING* on your next Online Print Order! 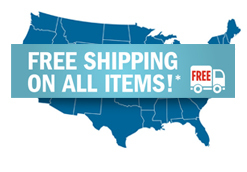 *Free Ground Shipping on online printing orders that ship within the continental U.S.
FREE Shipping listed on all Print Products that apply. Print orders must be processed on our website for FREE Shipping. Need a Free Design or Printing Quote or help with your online order? Call us at (702) 589-6429 to discuss your next project. that offers creative graphic design, branding, custom sign making, graphics production, embroidered company shirts, screen printed tshirts, branded promotional products and commercial printing services at the highest quality, fastest turnarounds and competitive prices. We have a variety of fast signs and rapid overnight printing services so we are never late, with printers for you to choose from, including commercial offset, digital, direct to substrate, large format, super wide format, screen printing, sublimation and 3D printing. With 24/7 printing service, nationwide capabilities, and the fastest printing turnarounds on same day, next day, overnight and rush printing services, we are here to meet your big printing needs and toughest business, meeting, branded event, trade show or convention displays, graphics, promotional product, signage and printing deadlines. Order Fast 3 to 5 day standard turnaround on premium printed products or Same Day / Next Day Rush Printing on popular print marketing materials such as Business Cards, Flyers, Brochures, Postcards, Booklets, Catalogs, Folders, Signs and Banners.